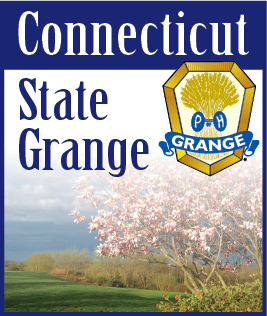 OCTOBER 2007 -- Most times in the Grange, it may appear that there are less people to work the jobs at hand. This may be due to a lot of reasons. It also may seem those that are in leadership roles are trying to take on more tasks or jobs at an attempt to make sure their Grange is running on an “even keel”. This becomes a daunting task for those who are now juggling more than one job. It’s up to everyone to help out and volunteer - even the most mundane task. Volunteering is part of what the Grange is all about. Talk with your Grange leaders and ask them if there is a task that you could help out with. It will signify to your leaders that you are willing to take on more responsibilities. You might also find the task you volunteered for is fun.